Home / Health / What to eat to improve your mood, concentration and memory! The number of experts who believe that the secret to a better brain function is found in our plate is growing day by day. Moreover, numerous researches, mainly on the beneficial action of omega-3 fatty acids, reinforce this belief. Over the last years researches have been carried out- both on animals and on humans- proving that certain substances and food ingredients can boost memory and combat stress. So, let’s take a look at what the experts suggest we should include in our menu so that we can improve our mood, enhance concentration, and even increase our IQ. Where can we find omega-3? Walnuts, linseed and linseed oil, as well as some wild herbs, such as purslane, are additional sources of precious omega-3 fatty acids, mainly in the form of a-translinolenic acid (ALA). A variety of researches support that the consumption of omega-3 fatty acids strengthens the memory. 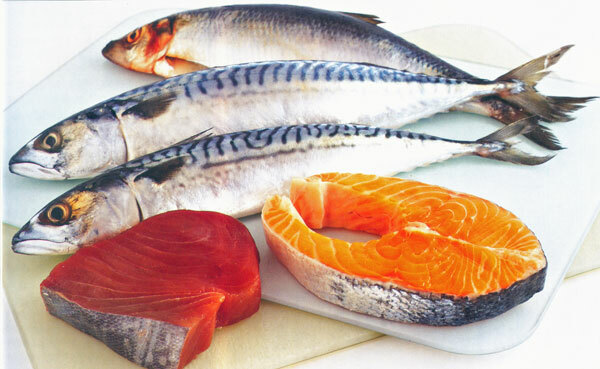 Recently, researchers of the Epidemiology Department of London School of Hygiene, (in a study published in the scientific magazine “Journal of Nutrition Health and Aging”), assessed the relationship between eating fish and memory for 867 people, 70-79 years old. They found out that those who consumed the most fish had significantly better performance on memory tests in comparison to the others. In a study of the Tufts University, it was examined whether the content of cell membranes in DHA is associated with the appearance of dementia in 899 men and women. The participants, who did not have dementia at the beginning of the research, were being monitored for 9 years. After the completion of the study, it was observed that those who had the highest DHA concentration in their blood at the beginning of the study, had 47% less chances of appearing dementia. Not at all by chance, the men and women with the largest values of DHA consumed fish on average 3 times a week. Antidepressant action is also attributed to ω-3 fatty acids. According to a French research, (published in the “American Journal of Clinical Nutrition”), it was noted that people with the highest concentration of EPA in their blood presented milder symptoms of depression compared with those who had lower EPA values. Which foods and ingredients, except omega-3 fatty acids, should not be absent from our dinner plates for the sake of our mood, concentration and memory? These foods provide to the body complex carbohydrates, which during digestion are broken down into simple carbohydrates (sugars), which in turn are the main “fuel” of the brain. We therefore need to consume whole wheat cereals on a daily basis (bread, breakfast cereals, pasta) but also try to avoid the daily consumption of sweets. The last increase rapidly the levels of glucose (sugar) in the blood, but sugar decreases equally fast, so we end up having the opposite of the expected results – inability to concentrate, drowsiness, nervousness. Proteins during their digestion are broken down into amino acids which contribute to the production of the brain’s neurotransmitters. For this reason meat (lean), poultry and pulses should not be absent from our weekly menu. Turkey is particularly considered as a source of tryptophan, an amino acid that is a structural component of serotonin, the “neurotransmitter of calmness”. Besides turkey, tryptophan is also contained in tuna, egg white, milk and bananas. Reduced levels of vitamins of the complex B (B1, B5, B12 etc. ) can affect brain function, causing inability to concentrate, irritation and mood swings. These specific vitamins “nurture” the nerves and are valuable for the function of the nervous system. B5, for example, during its metabolism helps in the composition of acetylcholine, one of the most important neurotransmitters which helps concentration, while B12 contributes, among others, to the composition of myelin, the protective membrane of nerve cells. The main sources of the vitamin B complex are foods originating from animals. For this reason, experts call attention to those who follow a vegetarian diet or follow exhaustive diets by depriving their body of vitamins of the B complex and especially B12. Vitamins with strong antioxidant action, such as C and E, contribute to the efficient operation of vessels, ensuring the smooth circulation of blood and the adequate oxygenation of organs, including the brain. In addition, antioxidant vitamins are considered to enhance the action of acetylcholine a neurotransmitter associated with memory and concentration. Good sources of vitamin C are citrus fruits, colorful peppers, kiwi, broccoli, spinach and tomatoes. In addition, olive oil is a good source of vitamin E.
It is a metal that activates the action of vitamins in the B complex and it is considered to reinforce good mood. Black-eyed beans, almonds, dairy and bananas are good sources of magnesium. Consume coffee in moderation, e.g. 1-2 cups a day. Caffeine is stimulating in small doses, while it is said that it possesses antidepressant action. However, in large doses it can cause nervousness and overstimulation. Limit “bad” saturated fats found in animal originating foods, because their overconsumption is associated with the creation of atheromatosis in the vessels, thus increasing the risk of a heart attack and a stroke. If you like alcohol, content yourself with 1-2 drinks a day, since its abuse has toxic action to the brain.